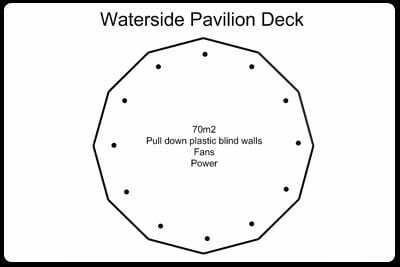 The Waterside Pavilion is situated in front of The Lodge overlooking the billabong. It is a twelve sided building of around 60m2 and suitable for up to 12 persons doing yoga or 20 persons doing meditations or seated workshops. Whilst is can be heated it is more suitable for summer daytime usage.